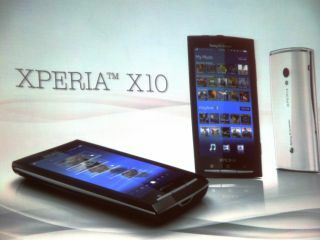 Sony Ericsson has unveiled the release date for its first-ever Android device – the Sony Xperia X10. Expected to hit stores 10 February 2010 – as predicted by TechRadar earlier this month – the Xperia X10 is certainly well-equipped for Google's OS. Sporting a 1GHz Qualcomm Snapdragon processor, it will be the speediest Android-infused handset on the market and one which is also packed with some mouth-watering features. These include an LED Flash – which will hopefully follow in the HTC HD2's footsteps and be as bright as the sun – automatic face-tagging, an 8MP camera and a 4-inch WVGA screen. Oh, and it will be packing Android 2.0, so expect Google Navigation and the like. Couple this with a 3.5mm headphone jack and a new overlay which will give user a new way to search on the phone, and it sounds like Sony has come up with a real contender in the burgeoning Android market-place.